Description: Beautiful image of dawn, wallpaper of mountain, lake is Wallpapers for pc desktop,laptop or gadget. Beautiful image of dawn, wallpaper of mountain, lake is part of the Nature And Landscape collection Hight Quality HD wallpapers. 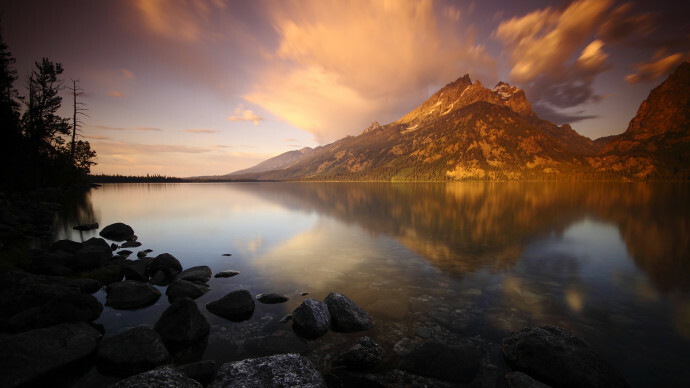 Beautiful image of dawn, wallpaper of mountain, lake wallpapers was with Tags: 1920x1080 px, cloud, dawn, Grand Tetons, Lake, Mountain, reflection, stone, transparency .Image size this wallpaper is 1920 x 1080.This image posted by admin On February 22, 2014.You can download wallpaper Beautiful image of dawn, wallpaper of mountain, lake for free here.Finally dont forget to share your opinion using the comment form below.